A recent report indicates Audi plans on revealing in Frankfurt a Sportback e-tron version of the A6. After showing e-tron versions of the A1, A3, R8 and the e-tron Spyder Concept, Audi could bring an e-tron variant of the A6 in Frankfurt this September. 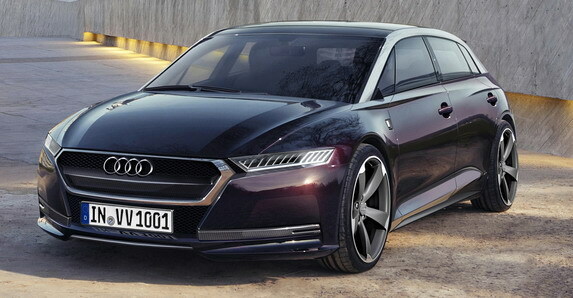 They already have a similar variant based on the A6 L, but the rumoured concept will be an A6 Sportback. This probably means the Ingolstadt-based automaker is thinking of adding a new body style to its A6 range, joining the sedan and Avant wagon versions. 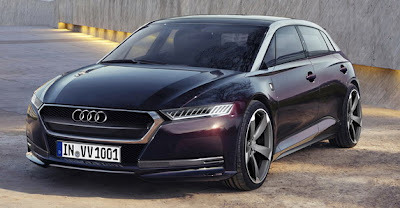 Autobild hints that an A6 Sportback e-tron concept will come with a 300 HP (221 kW) 2.0-liter turbo engine borrowed from the 2013 S3 and an electric motor generating an additional 100 HP (73 kW). In pure battery electric mode the driving range will be 75 to 100 km (62 miles) while standard fuel consumption should be under 2.5 liters per 100 kilometers. For performance 0 to 100 km/h sprint wil take less than 5 seconds on to a top speed of 250 km/h (155 mph).